A 100-year-old corncrib provided much of the wood for this 25' Chesapeake Skipjack. 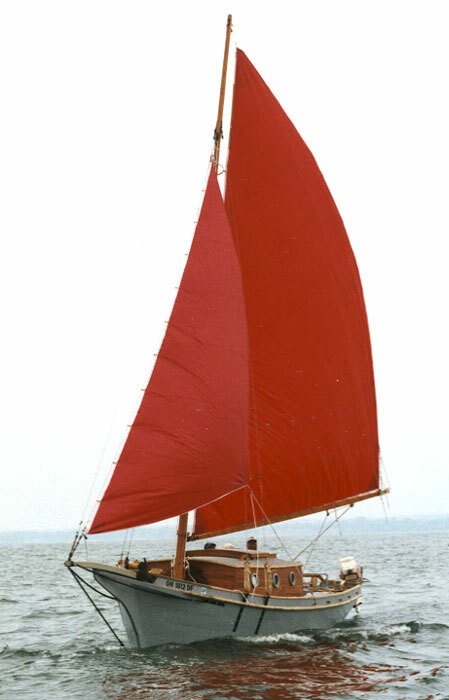 The keelson, frames, centerboard, and rudder are white oak. The cabin sides and trim are solid cherry. The builder, Lynn Miller, plans to use it for extended voyaging and cruising on the Great Lakes. He spent 3 years and $3000 on the project, and considers it a great use of his time and money. 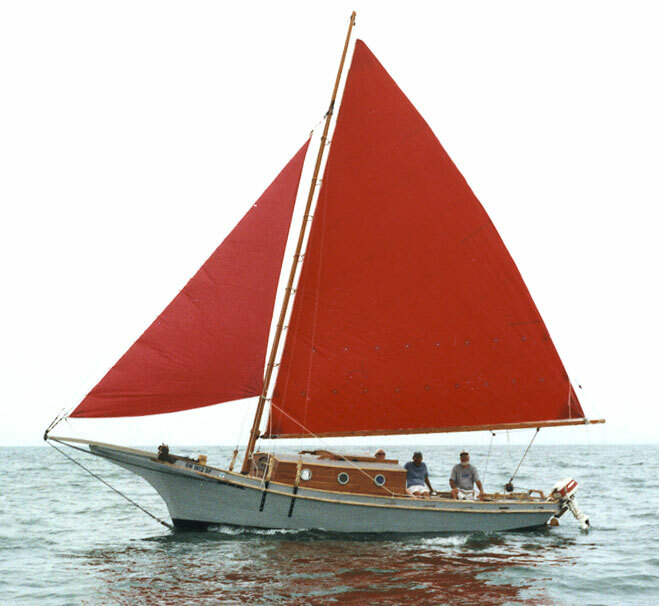 The plans are from WoodenBoat, design #72, designer is Joe Gregory. Email Lynn at lynnamiller@juno.com.